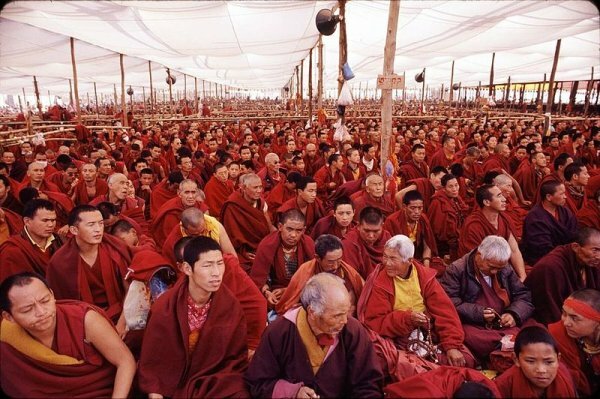 With thousands of Tibetans having crossed the Himalayan borders of Nepal and China to attend the Kalchakra teachings at Bodhgya, the Central Tibetan Administration (CTA) has expressed worries over the possibility Chinese spies entering India. Sources in the Tibetan administration said that security at the Dalai Lama temple has been increased, and some Tibetans were deployed to keep an eye over McLeodganj and its catchment areas. A Tibetan official said, "Tibetans dressed in camouflage would keep an eye over offices. We fear that the Chinese spies might want to destroy our records. Tibetan volunteers from Dehradoon are here for the purpose. He said, "Tibetans visiting India report at the office of minister of foreign affairs in Nepal. They are issues special entry permits. The visitors are then to report at the Tibetan refugee centre near Khaniyara but not everyone does that." In the meantime, minister for the department of security at CTA Dhonchung Ngodup said while addressing the media: "Chinese spies might have reached Bodhgya. They could be 1,000 to 1,500 in numbers." He said around 70,000 Tibetans have arrived in India to attend the 10-day teachings that began from January 1. Recent reports from Tibet have indicated that the number of Chinese spies in monasteries of Tibet have greatly increased following the spate of self-immolations in Tibet.